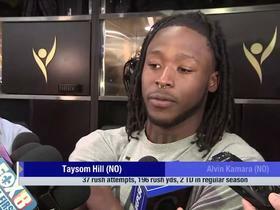 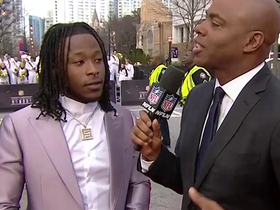 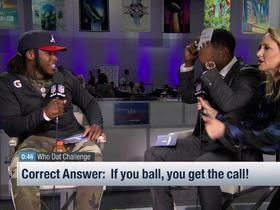 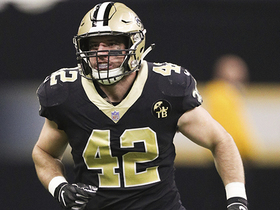 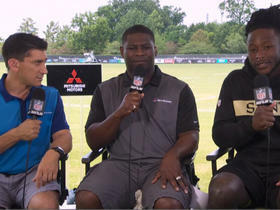 New Orleans Saints running back Alvin Kamara discusses being on the field with quarterback Taysom Hill. 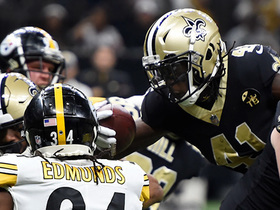 New Orleans Saints running back Alvin Kamara goes up and over for his second touchdown of the game from 1-yard out. 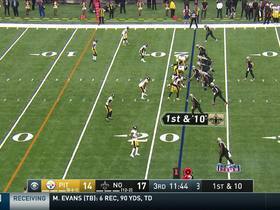 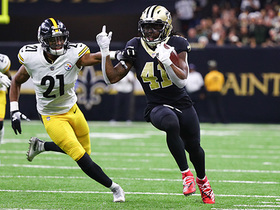 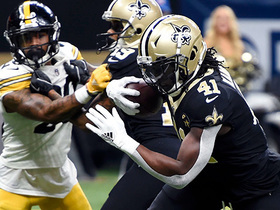 New Orleans Saints running back Alvin Kamara darts for 42 yards on a long catch and run. 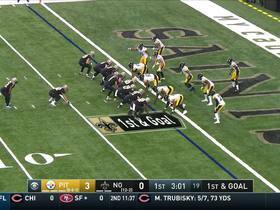 New Orleans Saints quarterback Drew Brees slaps down a would-be interception on a tipped pass. 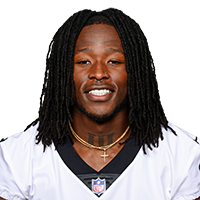 New Orleans Saints quarterback Drew Brees finds his running back Alvin Kamara who effortlessly breaks loose for a big 31-yard pickup.